Chelsea are determined to hold on to Callum Hudson-Odoi and have offered the teenager a jaw-dropping £50,000-a-week deal, claims The Daily Mail. The Premier League giants are understood to have turned down four bids from Bayern Munich for Hudson-Odoi this month with the latest well in excess of £30m. Hudson-Odoi has entered the final 18 months of his existing Chelsea contract and is reportedly keen to leave his boyhood club to join Bayern. Despite featuring prominently in pre-season, Hudson-Odoi has barely got a look in under Maurizio Sarri this season and is so far intent to join Bayern. However, Chelsea have now made a stunning play to convince the 18-year-old to remain at Stamford Bridge but offering him a basic wage more than double his current £22,000-a-week salary. Hudson-Odoi has not even started a Premier League match for Chelsea yet the proposed terms, which when you include bonuses could take it up to £70,000-a-week, would make him one of the best-paid teenagers in the world. It remains to be seen whether Hudson-Odoi’s head will be turned back in Chelsea’s favour following this latest contract offer as his motives to join Bayern are not fuelled by money. It is likely that Chelsea’s offer of a new deal last summer would have already been more than Bayern are willing to pay, but the German giants’ promise of regular first-team football could trump Chelsea. Despite boasting one of the best academies in the world, Chelsea do not have a clear pathway for youth-team players to break into the first-team. Bayern are reportedly even willing to give Hudson-Odoi their No.10 shirt at the end of the season when Arjen Robben leaves the club, illustrating the lengths they are going to in order to sign him. 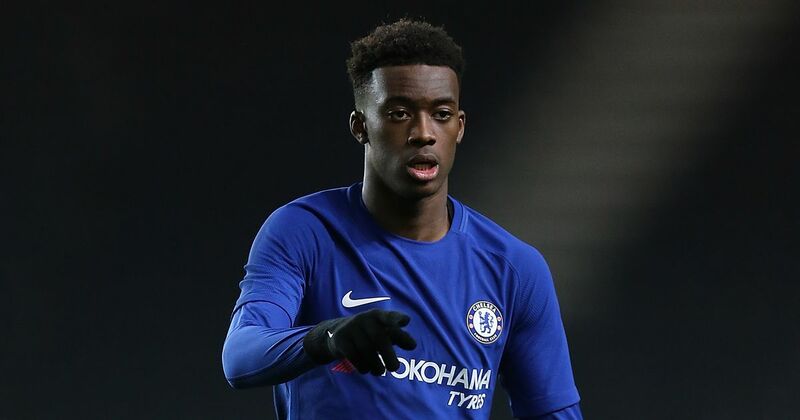 Hudson-Odoi has only made two substitute appearances in the Premier League this season, which is the main reason why his future looks likely to be away from Stamford Bridge. 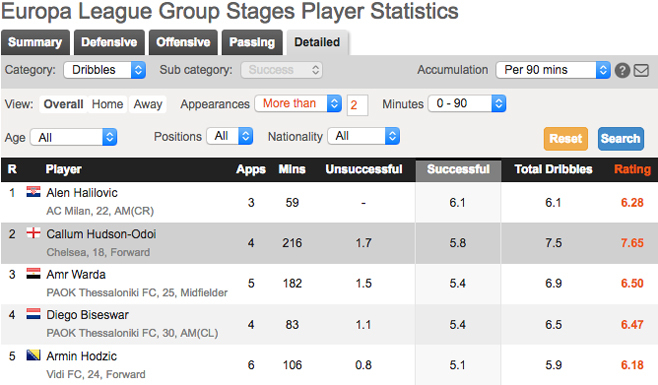 Of players to have made at least three Europa League appearances this season, only one averages more dribbles per 90 than Hudson-Odoi (5.8).